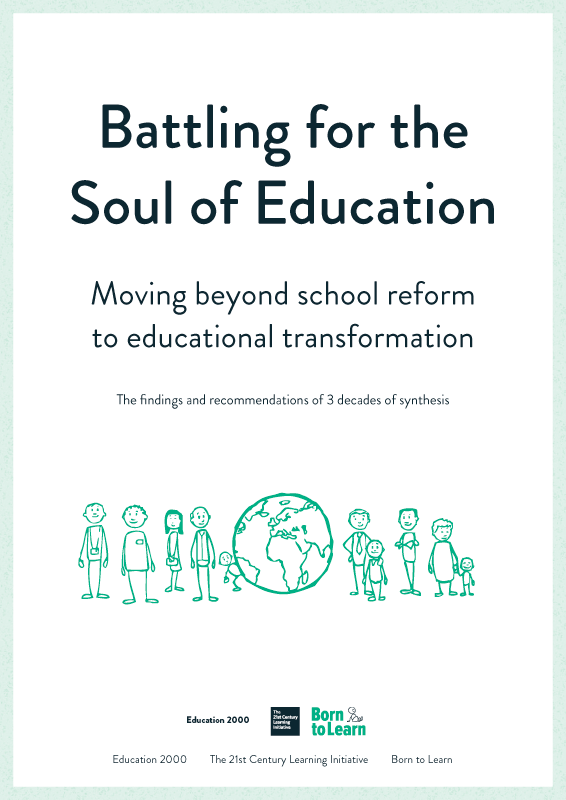 For those who have been able to succeed in abstract terms, there are as many for whom schooling has been a disaster because they are more practically orientated. Industrial society had no place for children in the world of adult affairs. Children were seen to be in the way. So we are stuck with a system which has progressively turned childhood into an ever more extended virtual holiday; in reality we have trivialised adolescence, by denying adolescents the opportunity of learning from their own experiences, and making them good processors of information provided by other people. However, it is only very recently that researchers have come to understand this. Such learning theory that existed in the late 19th and early 20th centuries was generally behaviourist – people needed rewards to do tasks; our brains were blank sheets awaiting instruction; and intelligence was dimly thought of as being completely innate and inherited. So, as England and its territories developed an education system for the masses (initially as much to keep children off the streets as to give them useful skills) so this rapidly came to reflect the industrial factory model. When universities were asked to advise on the curriculum they did so by suggesting a highly reductionist model of learning. To such early educational experts the study of learning was a strictly academic affair. They measured what happened in classrooms when people performed abstract tasks, but they hardly ever deigned to study the calculating ability of an apprentice working on the job such as Benjamin Franklin, or a street trader on the Whitechapel Road in the East End of London. This late 19th century compromise between the scientific understandings of the day, the needs of industry, and the desire to give all children basic skills increased productivity and lifted standards of living most significantly. But this came at a cost. Deep down many children became deeply frustrated, with so much of their latent predispositions just untapped by the daily routine of instruction. The daily challenge of making sense of their environment had been replaced by a dull recognition of waiting to be told what to do and how to do it. Societies now stand at a very exciting time in human history — at an evolutionary cross-roads. Will we be able to capitalise on these understandings and reverse what is now seen as an upside down and inside out system of education? Everything that we understand about our intellectual development suggests that below the age of seven or eight, particularly below the age of three, we are heavily dependent on external encouragement and stimulation to develop the brain in ways in which survival skills (the ability to collaborate and see across issues) develop. If such skills are not stimulated at an early stage then learning them later on is simply far more difficult. In late twentieth century terms the functional skills of reading, writing, and numeracy also fit into the category of survival skills. At an early stage of life every youngster needs to make great demands on adults if he or she is to master these basic survival skills. While adults may be ambivalent about their roles as parents and caregivers, to a child good parenting is utterly essential if their mental faculties and social skills are to develop. The natural tendency of young people when they move into puberty is to reverse their dependency on adults. They want to be in control; not because they want to be bloody minded, but because all the hormonal changes going on within are pressing them to show that they can now use what they learnt earlier to become fully functional, independent people. If they are not equipped with the basic survival skills described earlier, then adolescents are desperately ill-prepared to deal with the physiological changes of adolescence and end up mentally, emotionally and socially adrift.